Nothing planned for the evening? Then why not gather the family, or some friends, and enjoy a fine Thai meal at Concord's famous Chilli Jam Thai Restaurant. Chilli Jam is famous for it's authentic Thai flavours and cultural atmosphere. The restaurant is full of comfortable, cushioned seating with high wooden tables in dim lighting. The tables are set with candlelight and soft red and yellow cushions for extra comfort. The walls are covered in Thai-inspired art, making you feel that Thai culture while you enjoy your meal. Chilli Jam's menu is full of delicious variety that will satisfy any hunger. Choose from light soups, entrées or stir-fry if you are looking for a small meal. Otherwise try Chilli Jam's famous Bangkok street food, which includes, chicken breast in a garlic and pepper stir-fry, Thai-style marinated pork or beef in sticky rice and also some papaya salad. 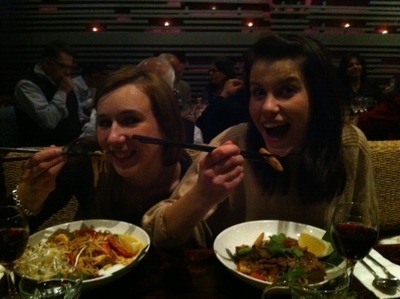 The noodle and rice dishes hold my favourite meal, Pad See Eew, which always leaves me wanting more. Chilli Jam's Pad See Eew is a delicious mix of stir-fried flat rice noodle with sweet soy sauce, soybean, minced garlic and mixed vegetables. The best part is that you have a variety of meats and seafood to chose from to have with your Pad See Eew. Choose from chicken, beef, tofu, vegetables, squid, fish fillet or prawns. All Portions at Chilli Jam are quite large, and pricing is quite reasonable. Your favourite part of the evening will be indulging in some delicious Thai-style desserts. There is a choice of Toblerone chocolate; fig honey pistachio and toddy palm ice cream as well as sticky rice Thai custard. 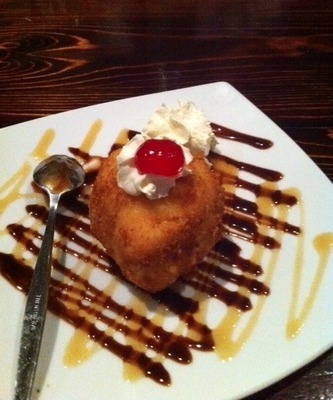 My personal favourite, however, is deep fried ice cream, which is served with some whipped cream and a cherry on top. Some fresh Vanilla ice cream is served on the side. The dish is drizzled with a little of choc-caramel honey sauce. Chilli Jam seats 150 guests, making it the perfect destination for your next function. Be sure to make a reservation to ensure you get a guaranteed seat, however it is not essential as Chilli Jam welcome all their customers. For all further information visit the Chilli Jam website.